I haven’t written about chickens in awhile. It just didn’t seem right to report chicken sadness during the holiday season. And here it is, already February, well past time to say an official goodbye to sweet Coco. It was a Sunday or two before Christmas. I came into the coop and found Coco sprawled on the floor. She revived a bit and even stood for a few hours, giving me and the CE time to cradle her and say our goodbyes. And then, as quietly as she had lived – Coco was a peaceful girl – she passed. 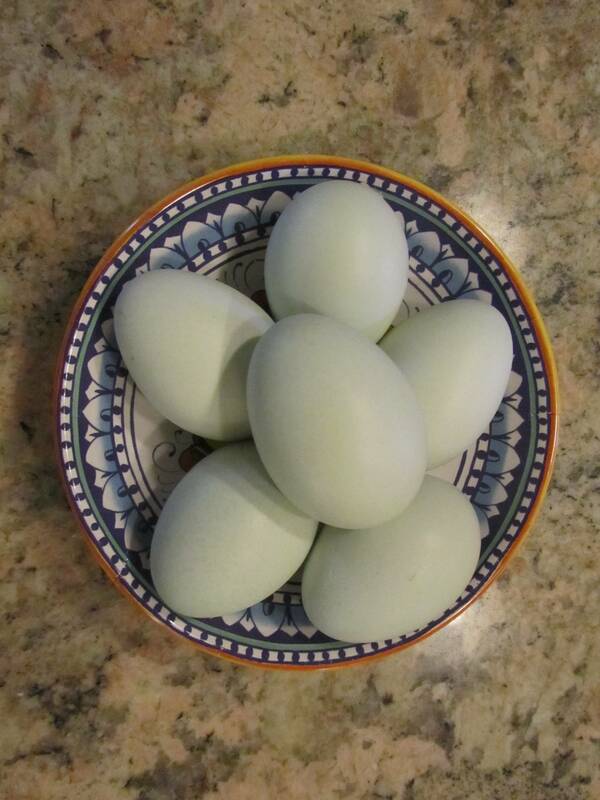 Coco was an Easter Egger and laid beautiful green eggs. Because it was a Sunday, there was no chance of taking her to the vet and so we don’t know exactly why she died. My guess is that it was a reproductive issue – internal laying, perhaps, or maybe ovarian cancer. 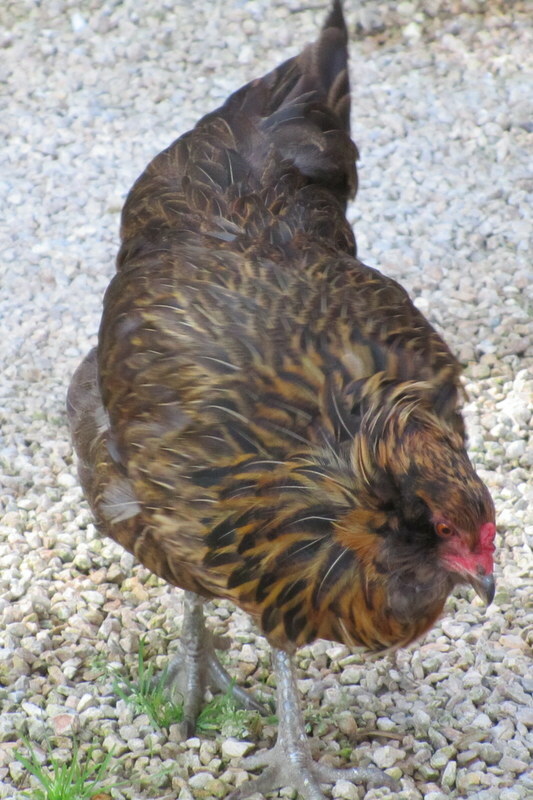 After her summer molt, she had begun laying again briefly around October and then stopped. I assumed she was taking the winter “rest” so common with chickens. When daylight hours dip below 14, many hens will take a winter sabbatical and wait until the days lengthen again to begin laying. In retrospect, Coco was likely not “resting”. More likely, her days were coming to a close, but we couldn’t possibly know that because birds, programmed to survive in the wild amidst predators, are well-practiced at hiding any sign of vulnerability until the very end. We have lost a number of pets in the last few years. Enough that you might think we are used to it by now. But you never get used to death. Each morning when I walk into the coop my eyes go to the spot where I found Coco that morning and the sadness washes over me again. Could we have done something? Probably not. When Autumn developed internal laying issues, we managed to prolong her life for a few months, but at great expense, and with no hope of a “cure”. Autumn, our first EE, died from internal laying. And we subjected Hope to weeks of well-intended veterinary poking and prodding only to learn after a necropsy that she died from incurable ovarian cancer. So now there are just two. Little Pippa and Luna are left to fend for themselves. For the first few weeks after Coco passed, they huddled in the coop, having lost their leader and at a loss as to how to go on. An understandable reaction. Who would have expected that Pippa would be the last one standing? But the two brave little ones have pulled together and are venturing out now as a team. They explore the flower beds, together. They beg for treats by the kitchen door, together. They find a patch of sun and dig little dust-bathing burrows, together. Luna learns that life must go on. On the day we lost Coco, I thought, no more. The losses are too many and too painful. But as I watch Pippa and Luna soldier on, I see the lesson in their chicken wisdom. You have to keep moving forward. Yet two does not make a flock. 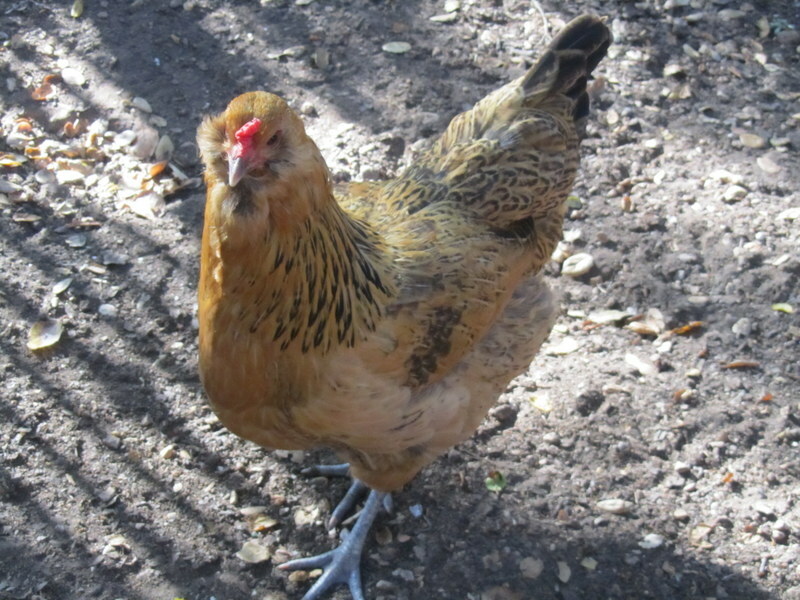 We have to find some companions for these sweet little hens. And that is not as simple as it seems. There is choreography involved in adding to a flock. 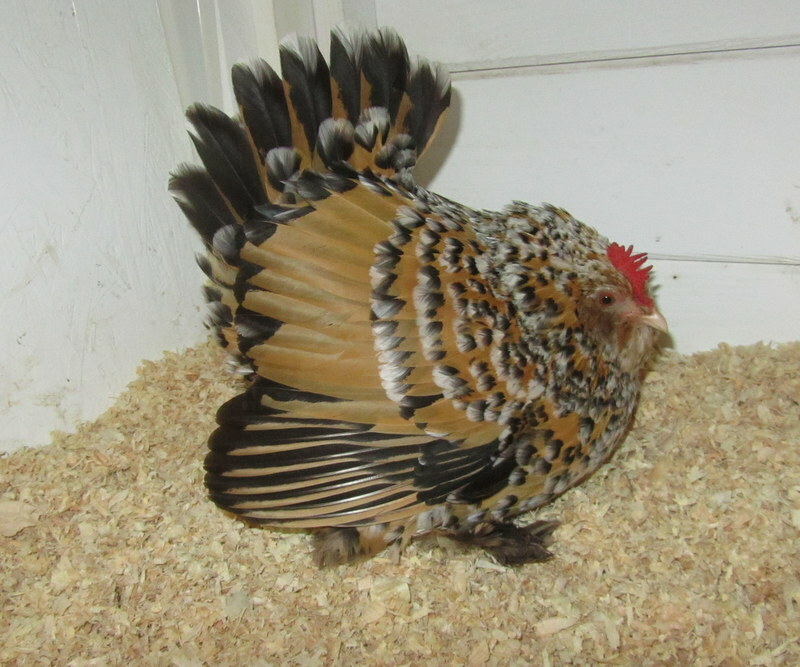 You must either have a broody hen to raise the chicks, or you must hand-raise them yourself until they are the same size as the existing birds and then convince them all to co-exist. Barnyard diplomacy is a delicate proposition and I am no Henry Kissinger, so this must be managed carefully. Pippa went broody last spring – I’m crossing my fingers that it will happen again. 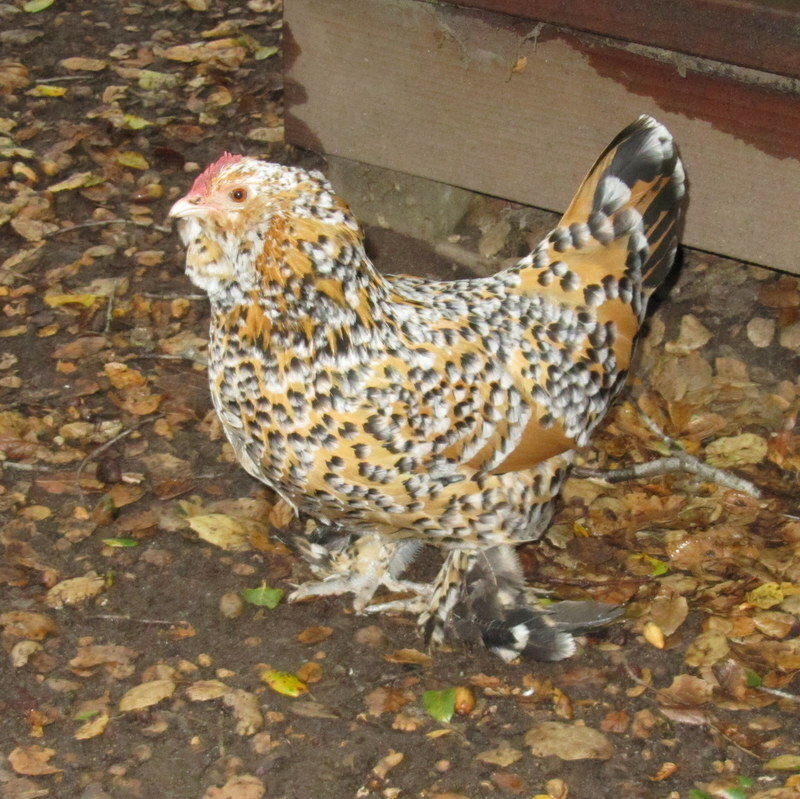 Broody Pippa: a broody hen will ruffle her feathers to discourage your approach. After Coco died, the hardest moment of the day for me was when I would go out to lock down the coop after dark. 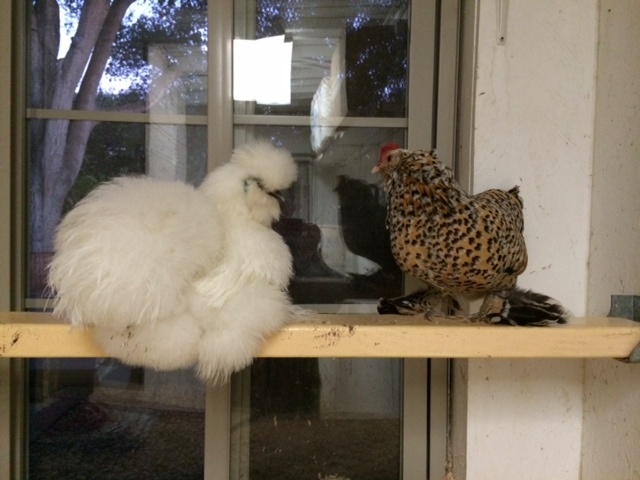 Pippa always slept on a high shelf near the ceiling of the coop, and Luna would sleepily peer out the window at me, alone on the roost. How sad for her, I thought. But when I went out to the coop a few nights ago, I saw two little heads peering out at me: Pippa has come down from the rafters and the two little friends now roost together at night. Life goes on. 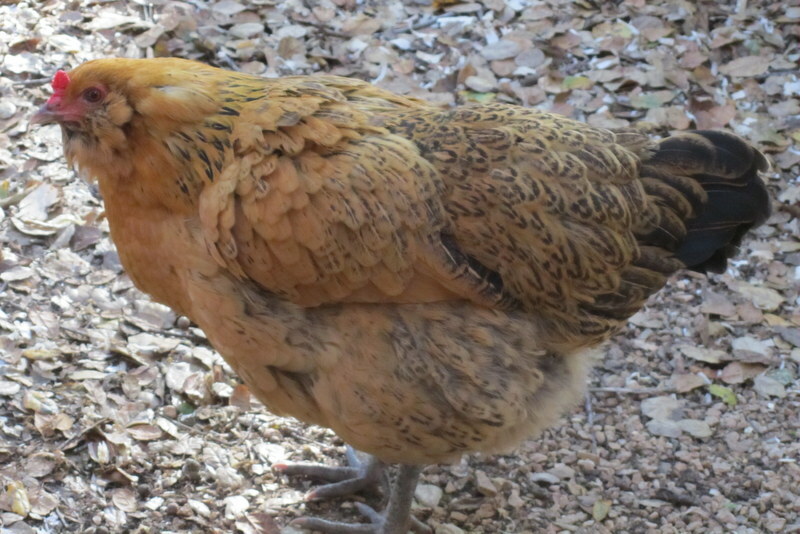 This entry was posted in All Things Poultry, Chicken Facts and tagged adding to a chicken flock, animals, backyard chickens, causes of death in hens, Chickens, Life, pet loss, pets. Bookmark the permalink. 9 Responses to Feathered Friendship. So sorry that you lost Coco! We lost a duck last summer–very difficult. Thank you for sharing your story! Nothing better than a sister. Nothing. So sad but inspiring as well. I’m rooting for more chicks…. I WILL count your chickens before they’re hatched. I hope there will be many more beautiful chick beings in your life. We have all watched them with joy (as well as sadness as they passed) and know that there is no greater place for a chicken than at your place. Life does go on, even if you a chicken with no real flock to call your own. However, I am confident that the CCL will come up with a plan to renew the flock and carry on the proud traditions of excellence put forth by the likes of Coco, Autumn, Hope, Amelia and others. 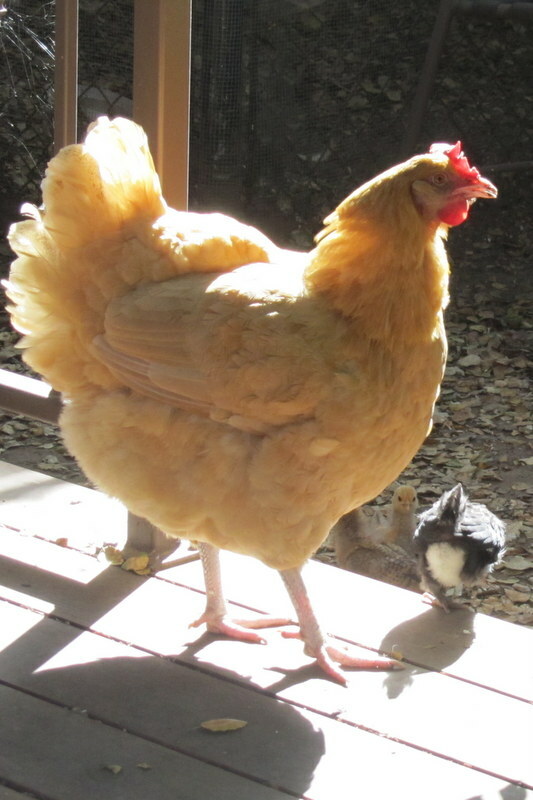 Remember: You cannot keep a good chicken down, nor a good chicken rancher(ette?). So sad when you lose a feathered friend. I lost the last of my original chooks this winter. 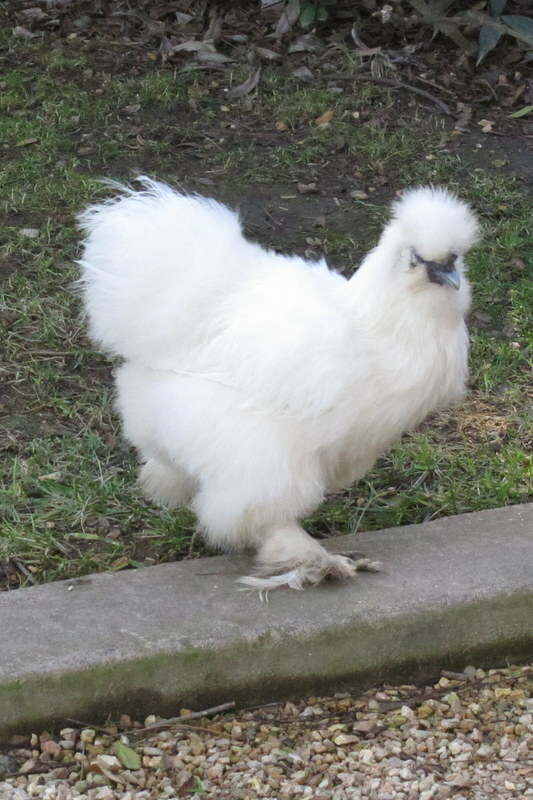 Miss Ohio the kite flying silkie will fondly be remembered. Her, Lucky and Miss Sippy are now resting in my freezer and will be cremated together this spring. Take some time but do get more cause the joy of chickens roaming around the yard will surely bring a smile to your face and joy to your heart.